The MEET website has undergone another important overhaul, with the addition of new content, new products and a general update of all the existing information. The updated website is based on new technologies, that will allow an improved user experience and a more efficient maintenance. By the way...did you know that MEET has been online since 1998, a time where only very few commercial companies in Ticino (Switzerland) had their own presence on the web? Association Alliance (http://www.alliance-tt.ch/) – the Swiss subsidiary of EU's Enterprise Europe Network (http://een.ec.europa.eu), an international technology exchange platform and organization, on its 2008 yearly activity report and outlook "Regards 09" publishes an article titled "Success story EEN", in relation to a commercial sales contract obtained by MEET for Wavetester systems to be integrated by an important Dutch company in its products. 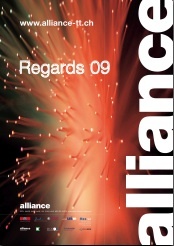 The contact between the two companies was established thanks to the services of the Alliance Network. 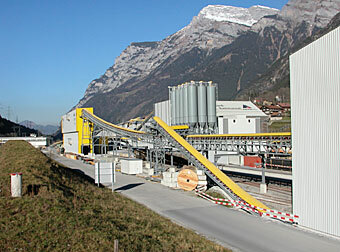 Holcim Switzerland SA (www.holcim.ch), now a member of LafargeHolcim Ltd, the world’s leading supplier of cement and aggregates (Reuters: LHN.VX) after exhaustive comparative field tests carried out at various locations over a duration of several months, issued the authorization for Wavetester moisture sensing systems to equip their new or to upgrade their existing concrete production plants in Switzerland. Started as a custom project, the Floppy Disk Drive Replacement Kit (FDD-RK) developed by MEET is a solution to extend the lifetime of products containing the now obsoleted Floppy Disk Drives (FDD) featuring the so called "industrial (or professional) interface" (see Note below), such as SONY MFP520-2 or Panasonic JU-313/323/363. Since spare replacement parts for these drive are no longer available, alternatives were sought to substitute defective parts. MEET found the solution! The replacement kit is made of a standard floppy drive (PC version) and a small hardware adapter board to be inserted between the drive and its ribbon interface cable. 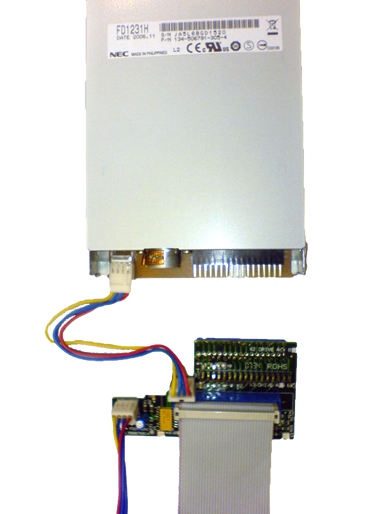 The hardware adapter regenerates the signals required by the "industrial floppy drive" interface based on observations of all the remaining signals and information available from the floppy drive. Note: The interface (ribbon cable) of the "industrial/professional" FDDs carry some additional signals compared to today's standard PC (commercial) versions, which provide such informations as disk insertion or FDD drive's motor running at nominal speed. Host controllers designed for these FDD's require these signals. MEET and SUPSI - the University of Applied Sciences of Southern Switzerland - organize a press conference at the world's largest railroad tunnel construction site: the Swiss Gotthard Base Tunnel (www.alptransit.ch) of 57 km. The advantages provided by MEET's Wavetester moisture measuring system installed at Alptransit's on-site concrete production plant. The technology on which Wavetester is based was jointly developed by MEET and SUPSI.